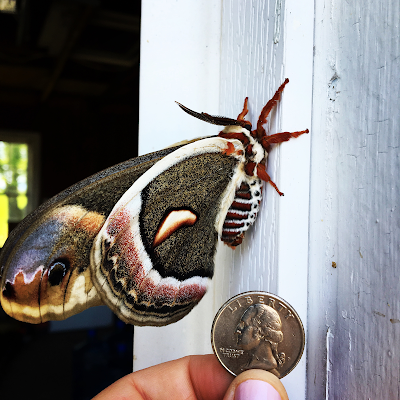 This week, we highlight our ubiquitous, mysterious moth neighbors. Moths are sometimes overlooked, except on a summer night when you leave the porch light & they become impossible to ignore. The National Moth Week Website reminds us that there are 150,000 to over 500,000 moth species in the world. That’s a lot of moths, and a lot of variation! The first question on many people’s minds- what exactly differentiates a moth from a butterfly? Why do we love the Groton State Forest in northeastern Vermont? There are so many reasons, but let's try to list just a few. Space to spread out. The Groton Forest is the State of Vermont’s second largest land-holding at 26,000 acres. One reason we love this park so much is that you can spend a week (or more!) and take a different outdoor trip every day. Six parks offer a variety of accommodations. The waterfront sites at Ricker Pond and Stillwater are popular with good reason, and Ricker Pond also has 5 cabins and 2 cottages available to rent. Big Deer and New Discovery parks are in the forest rather than on a lake, but both are a short drive from Boulder Beach. Remote camping is an option at Osmore Pond by New Discovery campground and Kettle Pond. Primitive camping is also available in certain areas of the forest. 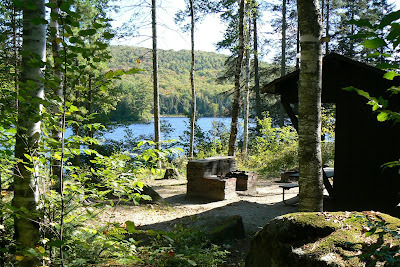 One group camping area is available on secluded Kettle Pond. The group sites are good for groups of various sizes, and can accommodate over 100 people. 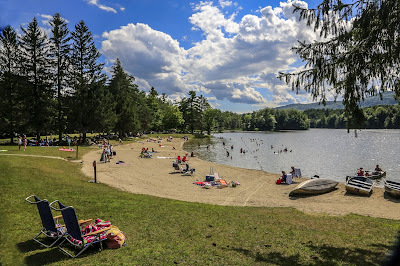 Waterbury, Vermont – Vermont State Parks will team up with The Conservation Alliance’s Backyard Collective on Friday, July 14 for a volunteer event at Camp Smith in Little River State Park. More than 50 volunteers will work on trails building, area cleanup and invasive species removal at CCC Camp Smith. The historic camp, constructed by the Civilian Conservation Corps (CCC), was the largest CCC camp in the eastern U.S. The camp housed CCC corpsmen during the construction of Waterbury Dam after the disastrous flood of 1927. If you look at a map of Vermont, sometimes it seems like our parks up north get all the love and attention: Grand Isle, Smugglers’ Notch, Lake Carmi, the Groton forest area. Great spots indeed, but now let’s take a moment to consider our collection of parks in southern Vermont that also deserve some love. It’s a diverse group, including Lake Shaftsbury with a picturesque setting in the hills, Jamaica on the rushing West River, and Woodford, our highest elevation park, on a high, forested plateau in the Green Mountain National Forest.